Child custody and visitation involve the most challenging decisions divorcing spouses will make. New Orleans Child Custody Attorney Harold Weiser with the Law Firm, can help you achieve an effective child custody solution that meets your child’s needs. When parents’ divorce, they must establish a child custody and visitation plan. Often, parents resolve these schedules between themselves, either on their own or with the aid of their attorneys or a mediator. While every custody case is different, in every instance a negotiated custody arrangement is favorable to what a judge would decide. Divorcing parents are encouraged to work out what they feel is the best arrangement. When a couple is unable to agree, the court will intervene. Contrary to 10 years ago, prior to the fathers’ rights movement, Louisiana judges no longer operate under the bias that a child automatically ought to be with the mother. Instead, judges start from the perspective that parenting can be done by either parent and each has equal rights to the children. From there, the focus of the law is always on what is in the best interests of the children. The “best interests” standard is also applied in all post-decree custody and visitation cases such as modifications, relocation and enforcement. In Louisiana, the domiciliary parent is the parent with whom the child shall primarily reside. The domiciliary parent shall have authority to make all decisions affecting the child unless an implementation order provides otherwise, but these decisions can be subject to court review, if the non-domiciliary parent objects. The experience of your lawyer in a custody case makes all the difference. At the Weiser Law Firm, we are committed to helping you achieve an effective resolution. We are here to represent any individual involved in a child custody matter. This includes mothers, fathers, grandparents and any other interested parties. Grandparents (and Step-Parents) can also get custody of their grandchildren. However, they have to show that a lot of harm would come to the children and that it is in the children’s best interests to be with them. Seeking a Visitation or Custody Battle Lawyer? 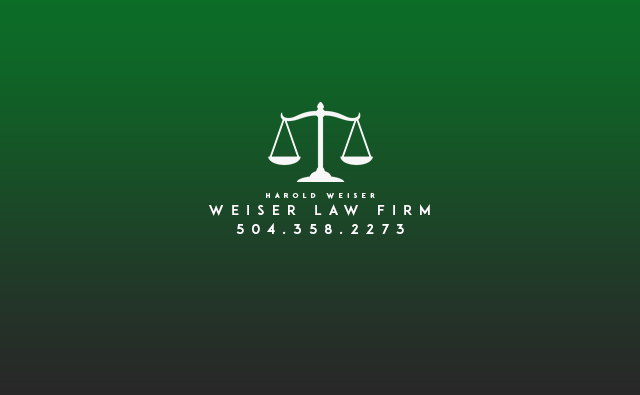 New Orleans’s Weiser Law Firm Can Help. Contact the Weiser Law Firm today to discuss your child custody or other legal matter.